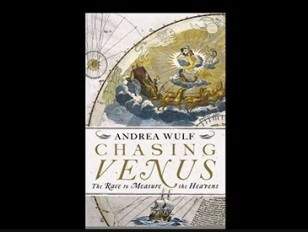 New York Times Best Selling and award-winning author Andrea Wulf tells the extraordinary story of the first global scientific collaboration set amid warring armies, hurricanes, scientific endeavour and personal tragedy. On 6 June 1761 and 3 June 1769 the planet Venus passed between earth and sun – each time visible as a small black dot. Transits of Venus always arrive in pairs – eight years apart – but then it takes more than a century before they are seen again. In the 1760s the world’s scientific community was electrified because the transit would allow them for the first time to calculate the distance between the planets in our solar system. At a time when war was tearing Europe and much of the rest of the world apart, hundreds of astronomers overcame political, geographical and intellectual boundaries to work together. For a decade the Royal Society was gripped by transit fever, organising viewings and expeditions to farflung corners of the globe, including Captain Cook’s Endeavour voyage to Tahiti.